Our uniqueness is underpinned by our genes – they influence everything from our height and eye colour to predisposition to some chronic conditions and potential diseases states. In addition, our genes determine our body’s response to the food we eat, physical activity and our lifestyle choices, and therefore can have a pronounced influence on our health. Scientists worldwide are now realising the importance of understanding the interaction between our genes and our lifestyle choices (such as nutrition, exercise, supplementation) and our health. 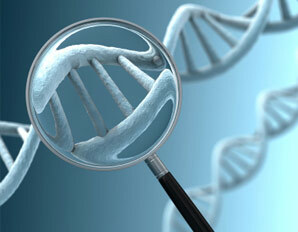 A common misconception is that our “inherited genes” determine our fate in life. In fact, research has shown that this is not necessarily so. It is true that you cannot change your “inherited genes” HOWEVER you can compensate for their influence. It is possible to maximise our “genetic potential” and change our health by targeted exercise, nutritional and lifestyle choices. If you know your genetic profile and what gene variants you have, then you are armed with a very powerful tool for maximising your health potential. We do not inherit a disease state as such, but rather we inherit a set of susceptibility factors to environmental influences that modify the risk of developing a disease or imbalance in the body. These environmental influences may include cigarette smoke, air pollution, excessive alcohol consumption, poor diet, sun exposure, bacterial infection, chronic nutrient deficiencies, hormone imbalances, lifestyle habits and toxic exposure. Personalised genetic profile testing focuses on individual risk profiles, including specific nutritional or natural medicine requirements, in combination with traditional risk factors and the familial medical history. The knowledge of genetic factors makes preventative medicine easier. New scientific technologies backed by extensive medical research now make it possible to test genes that directly influence our fitness, health and nutrition. As a result it is possible to determine your personal genetic profile and improve your potential for healthy living by simply adjusting your nutrition, exercise, hormones and lifestyle choices to suit your unique set of genes. The body can repair DNA damage and improve the functioning of our genes when supported with optimal nutritional and healthy lifestyle choices. We will tell you, based on current evidence, what to do to maximise your health. Most importantly, Genetic Profiling helps you and your health care professional determine a suitable treatment plan tailored to your individual genetic needs to help you prevent disease in the future. Emed focuses on preventative health, not on diagnosing disease states or any potential medical conditions. Our programs are truly proactive in nature, not reactive to cause. FitGenes Advanced Health Genetic Profile – All-in-one 54 gene test focusing on inflammation, cellular defence, detoxification, cardiovascular health, cholesterol regulation, fat metabolism and weight management. DNA Health Test – 28 gene test focusing on cholesterol metabolism, DNA methylation, detoxification, inflammation, oxidative stress, bone health, insulin sensitivity and iron metabolism. DNA Diet Test – 13 gene test focusing on Fat absorption and metabolism, insulin sensitivity, appetite and satiety, weight loss and exercise, circadian rhythm, weight gain and inflammation. DNA Sport Test – 19 gene test focusing on endurance and power, tendon pathology and recovery time. DNA Oestrogen Test – 10 gene test focusing on oestrogen biosynthesis, oestrogen metabolism, and phase I and phase II liver detoxification. If you would like to know more about Emed Genetic Testing please speak to your Emed Practitioner Today.